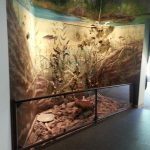 Wint Nature Center Independence Oaks – review, pics, and info. 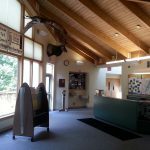 Wint Nature Center is located inside Independence Oaks County Park off of Sashabaw Road in Clarkston, Michigan. 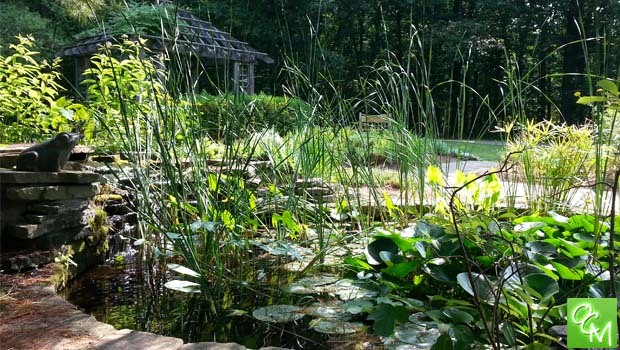 The Wint Nature Center is maintained by Oakland County Parks and Recreation. 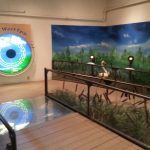 Wint Nature Center features hands-on, interactive natural history exhibits and educational fun. 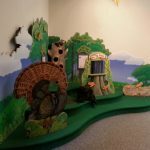 Wint Nature Center is home to several Oakland County Parks nature events for kids including Star Lab, “Tuning Your Tot In To…” series, badge days for scouts, and more! 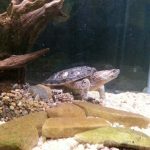 You’ll find small animals and reptiles in aquariums inside the nature center as you wander from station to station. The grounds around the Wint Nature Center are scenic. 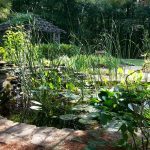 Just outside the main building, you can find a sensory garden with a gazebo and the beautiful Cohn Ampitheater. 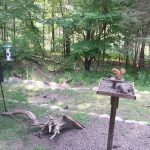 There is a giant birdfeeder / squirrel feeder area where you can observe the man types of birds from inside the center. 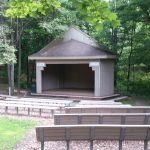 Wint Nature Center hosts field trips, kids birthday parties, and even weddings at the outdoor Cohn Ampitheater (pictured) which can accommodate up to 200 guests. 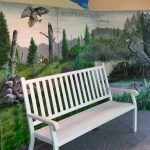 The Wint Nature Center is open for walk-in visits Fridays and Saturdays from 10a-5p and Sunday from 1p-5p. During the summer, it is open from for walk-in visits Tuesday through Saturday from 10a-5p and Sunday from 1p-5p. Registered groups (parties, field trips and other pre-arranged visits) are from Tuesdays through Saturdays (and select Sundays). 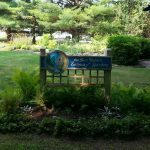 See our Oakland County Parks Events Calender to find out what’s happening at the Wint Nature Center this month. 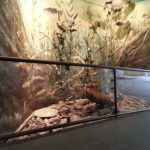 Vehicle entry rates for Independence Oaks County Park and Wint Nature Center are $5 for Oakland County residents, $12 for non residents, and $4 for seniors and active military. Advanced permits and yearly passes can be purchased at OaklandCountyParks.com.